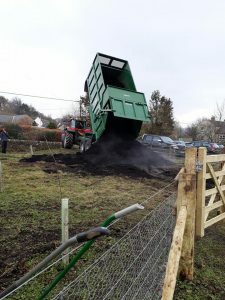 We are now the proud owners of 105 tonnes of compost. 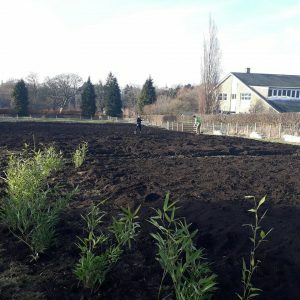 Delivered and spread around the site last Thursday, it seemed at points like such an insurmountable task, but now the field is starting to look less like the Somme and more like a fertile site. 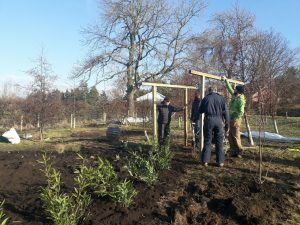 Thanks to our volunteers, we now also have a compost bay and the entrance to what will be our sensory garden, it’s all very exciting!